Joannicius was a Serb from Zeta. As a young man he was overwhelmed with love for Christ. He left his home and family and withdrew to the region of Ibar at the mouth of the Black River into a narrow cave in which, according to tradition, before him, St. Peter of Korish lived a life of asceticism. When his fame began to spread among the people, he fled to Drenica and hid in the thick forest of Devich. Here St. Joannicius spent years in solitude, in silence and in prayer. According to tradition, the Serbian Prince George Brankovich brought his mentally ill daughter to him whom the Saint healed. Out of gratitude, George built a monastery on this spot, known today by the name of Devic. 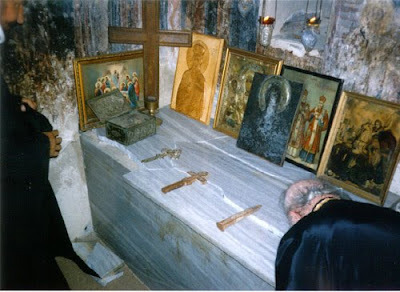 The holy and wonder-working relics of Joannicius repose in this monastery. In this monastery, more recently, the nun Euphemia, the famous and God-pleasing hermitess lived a life of asceticism in Devic. 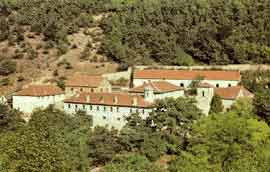 The nun Euphemia is better known in the area of Kosovo by the name: The Blessed Stojna. She died in the Lord in the year 1895 A.D.
A certain Milosh from Hercegovina prepared to travel to Jerusalem on a pilgrimage to the holy shrines. As he was about ready to depart on his way, St. Joannicius appeared to him in a dream and told him not to go to Jerusalem. Rather than go to Jerusalem, it would be better for you to go to Devic, explained the saint, and there, to restore my church and place it in order. 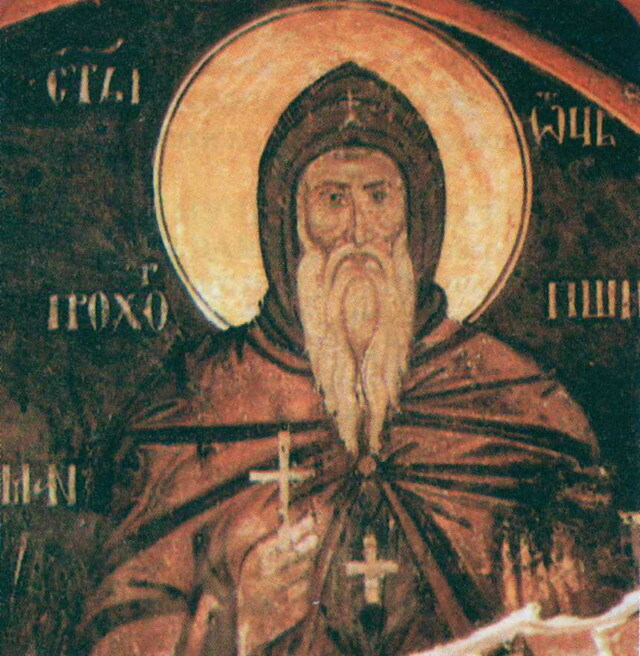 Milosh obeyed the saint and arrived at the neglected Devic, cleaned it, placed it in order and again, made it possible to sing praises to God. At Devic, Milosh was tonsured a monk and remained there until the end of his life. During the First World War and the Austrian occupation, a Hungarian officer with a detachment of soldiers came to Devic. The officer ushered Damaskin, the abbot of the monastery, before the reliquary of St. Joannicius and asked him what was under the slab? "Holiness," replied the abbot. "What kind of holiness? ", the officer laughed. "Some things are hidden under there." He then ordered the soldiers to strike the slab with pick axes and to overturn it. While this was being done, the officer was seized with pain around his waist. He lay down in bed and before evening of the same day, he died. The frightened soldiers left there work undone and fled the monastery. Read more on Devic Monastery here.